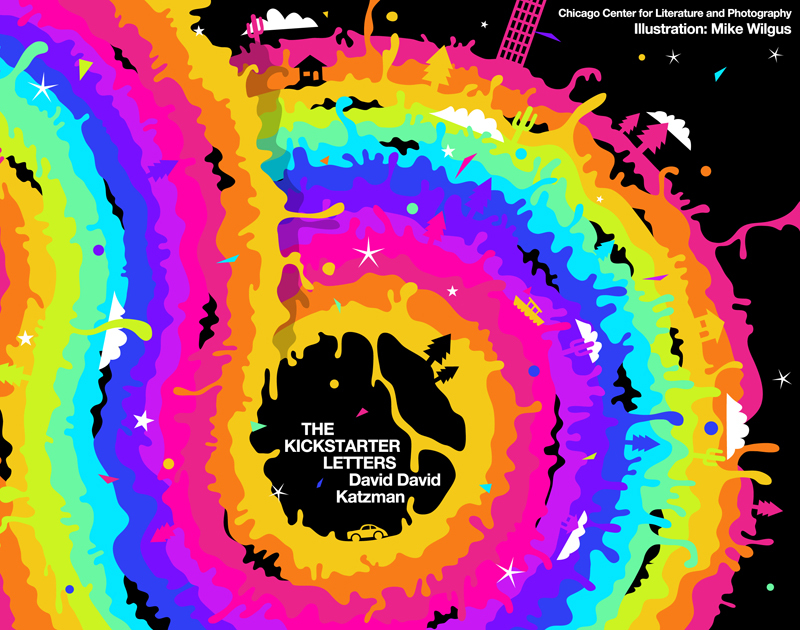 After a successful Kickstarter project, my third book, The Kickstarter Letters is available to the public from my publisher, the Chicago Center for Literature & Photography. The Kickstarter Letters is a beautiful handmade book that collects 52 of my stream-of-consciousness emails and handwritten letters written to supporters of my Kickstarter project for A Greater Monster. The book features psychedelic cover art, four color illustrations, 16 black and white illustrations and three fold-out handwritten letters. The letter design by publisher Jason Pettus is reminiscent of the groundbreaking music magazine Raygun from the 80s. The Kickstarter Letters is also available as a pay-what-you PDF or as an ebook without the artistic layouts. The cover art is available as a poster from Cafepress.